The Medes Islands form an archipelago that offers some of the most spectacular and recognisable images of the Costa Brava. Made up of seven islets, the archipelago has been given natural protected area status due to the richness of its ecosystem, a large reserve of flora and fauna featuring underwater caves rich in red coral and with extensive meadows of Posidonia Oceanica, a diver's paradise! 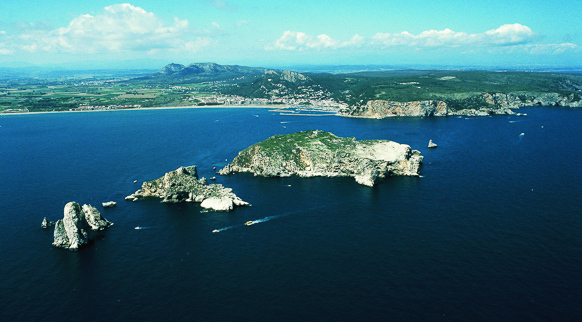 The Medes are situated less than one kilometre from the coast and are in fact the continuation of the Montgrí Massif. Despite its arid and inhospitable nature, this mountainous massif also boasts an ecological diversity of great interest. One of the outstanding features of its outline is Montgrí Castle, which crowns the mountain of Santa Caterina.